Simply embellished! And a birthday surprise. 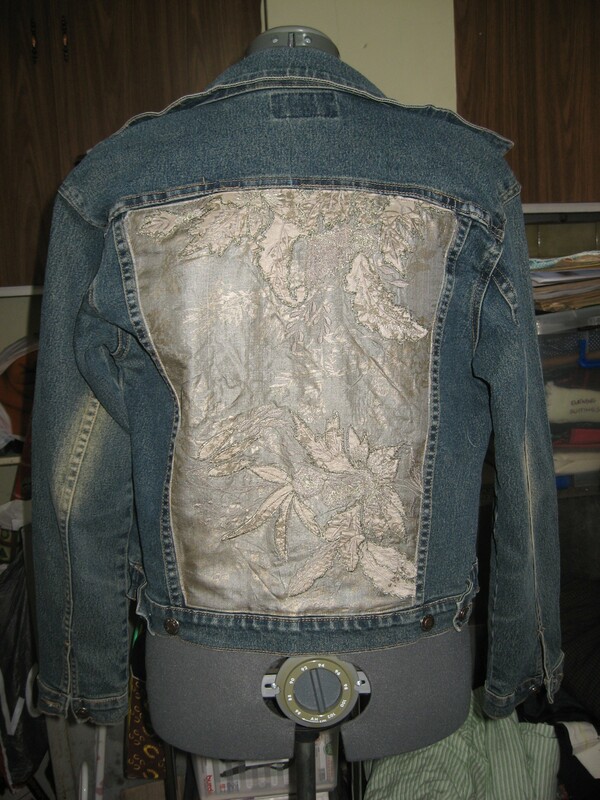 It all started with this basic, but nice, denim jacket. I picked this up on Dollar Day at Laverton Lighthouse a couple of months ago. I’d been inspired back then by a couple of refashions involving denim jackets and teatowels, and I’d been keeping an eye out for an appropriate teatowel (or placemat, napkin, tablecloth… just napiery in general) but nothing had really caught my eye. 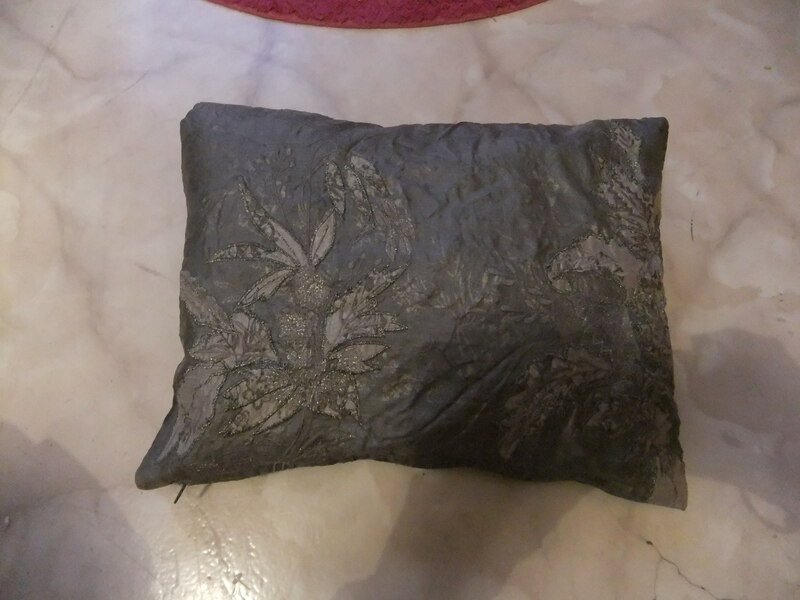 That was, until I spotted this little cushion last week at Vinnies, for only $3. I realised immediately where it was fated to go! I was even more pleased when I got home and looked at the inner tag – obviously my silk radar was switched on that day, because this little baby is silk! So I took it home, took the stuffing out, gave it a wash, and set about unpicking the embroidered silk upper from the rest of the cushion cover. 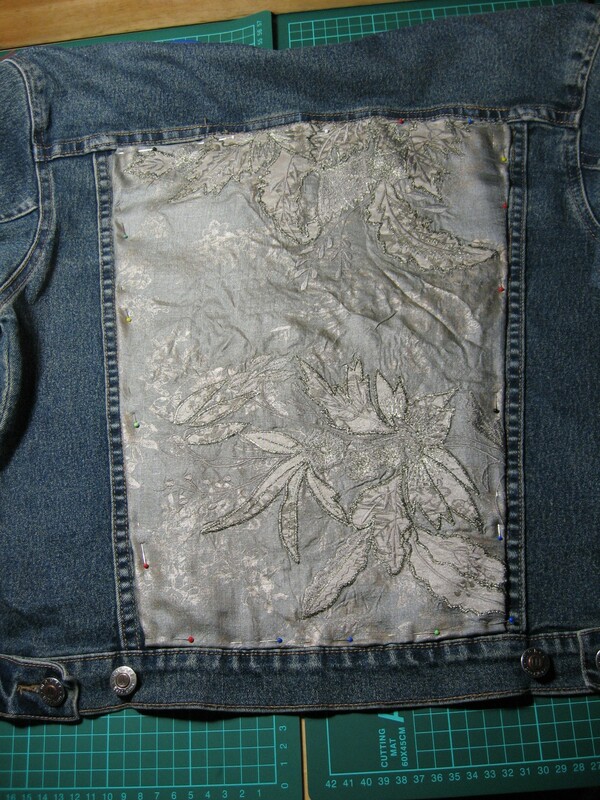 Once that was done, I pinned it in place – I didn’t bother doing any trimming to size at this point. 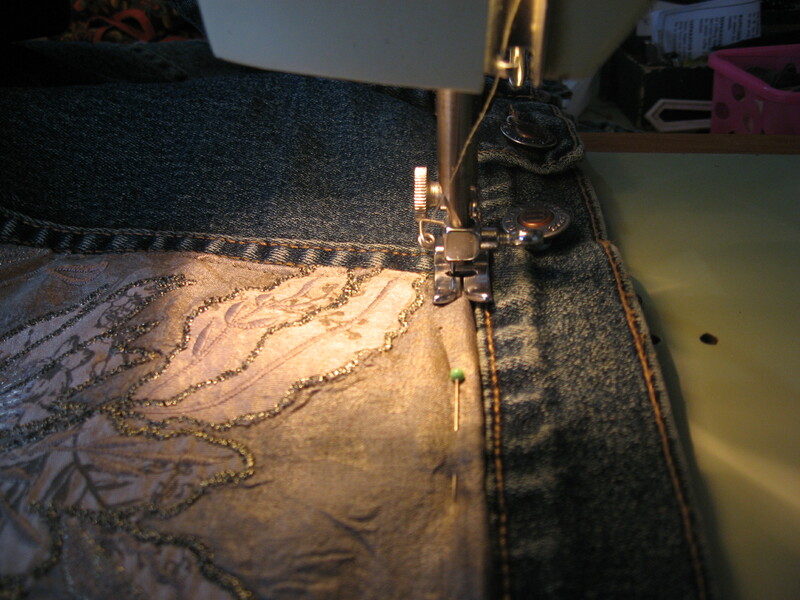 The silk was backed with cotton voile, and sewn together around the outer edge of the piece – I figured doing any cutting at this point was asking for trouble. 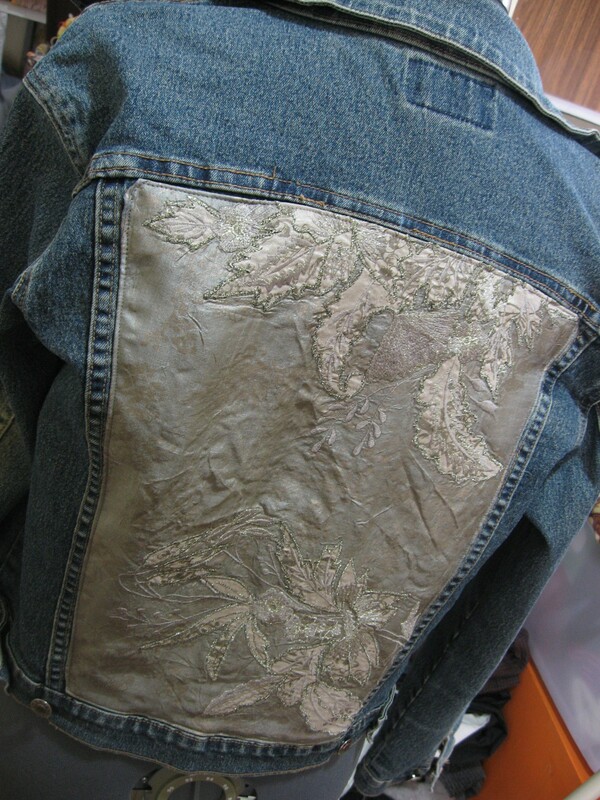 So after a few practice seams, I carefully used a straight stitch to sew the silk onto the jacket! I had a little bit of difficulty keeping a straight seam – the needle appears to be permanently on the left when it’s in straight stitch mode. I don’t have a manual for this machine so I’m kind of learning as I go. So I had to align my eye and my brain 3mm to the left to get the stitching line in the right place. Not the best picture, I’m afraid. And another one, just for fun. Mr Pinnock was very smooth and quiet in comparison to Ms Janome, but that may have something to do with the heavy base and the serious steel body allowing for less vibration. I have decided to give myself a little sewing challenge. The incredibly talented bunch over at SewWeekly set themselves a weekly challenge (I’d never make that deadline – it can take me a week just to decide what thread I want to use) and I follow with awe the fortnightly historical challenges over at The Dreamstress. 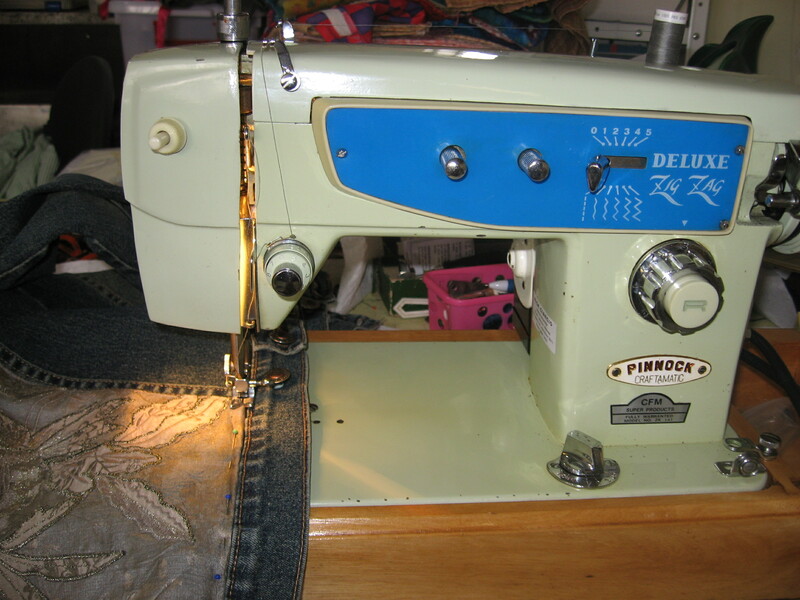 I think it was somewhere on Sew Weekly that I read about a Vintage Sewing Machine Challenge, where you make a garment from the same year as your sewing machine. This tickled my sense of whimsy, and I think I could handle something from the early 1960’s. 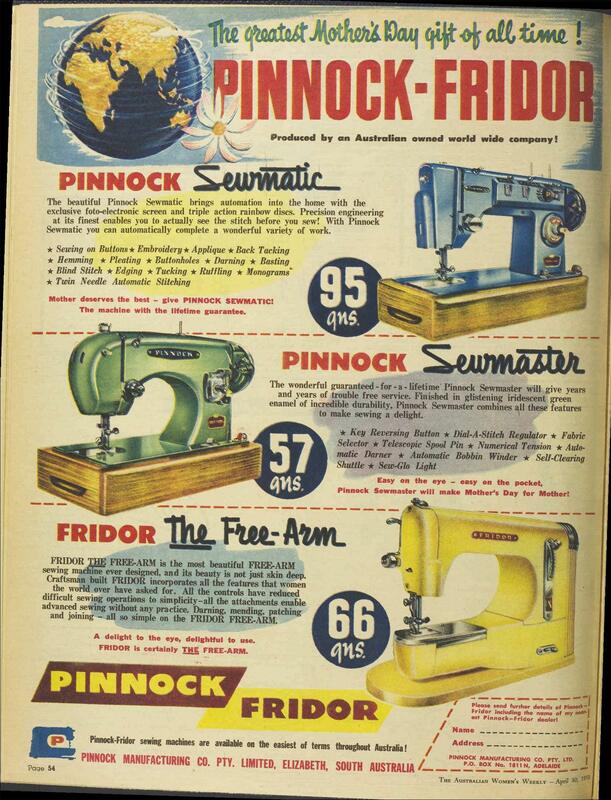 Although I haven’t been able to precisely date Mr Pinnock, the gorgeous advertisements I found on the National Archive lead me to the late 50’s-early 60’s.